Adventure is awaiting Washington County with the return of the Banff Centre Mountain Film and Book Festival. Known as the largest mountain festival in the world, the film series travels around to more than 550 communities and over 40 countries. 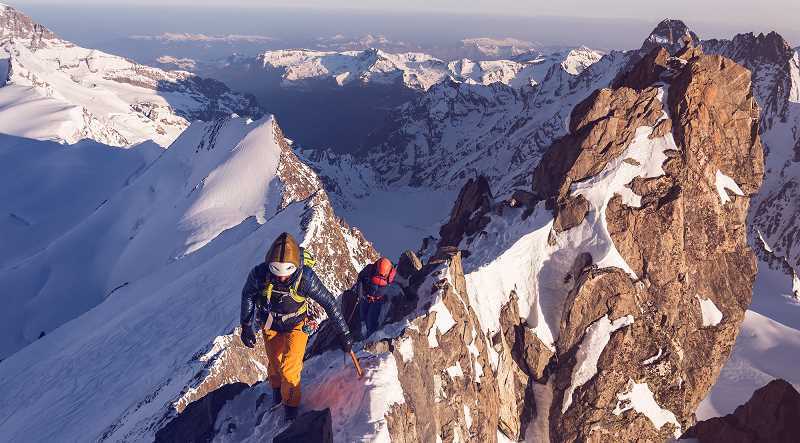 The collection of adventure, environmental and action films makes its way to Forest Theater, 1911 Pacific Ave., Forest Grove, on Wednesday, April 10. Banff Centre Mountain Film and Book Festival is held annually in November in Banff, Alberta. The selection of the top films submitted to the festival go on a tour around the world. The stop in Forest Grove is hosted by Adventure Without Limits (AWL), a nonprofit based in town for over 20 years, and serves as AWL's major annual fundraiser. The organization's mission is to facilitate outdoor adventures for all ability levels, including people with disabilities. It teaches skills to participants regardless of gender, age, socio-economic status, ethnicity and age. It also works with youth through Forest Grove High School, summer camps and through partnerships with places like Shriners Hospital for Children in Portland. Jennifer Wilde is Adventure Without Limits' director of development and outreach, and has been with the organization for a year. The proceeds from the festival benefit AWL and its programming, and through them, the 2,000 people whom AWL serves, Wilde said. "It is a great way for us to connect with the community, and there is interest to support AWL and what we do," Wilde said. "This is a chance to attend one of the best festivals around, and we are thankful we get to share that." The Banff Centre Mountain Film and Book Festival has a "cult following," Wilde said, with residents attending it in Portland for 20 years and expressing excitement that there is a local option today. "It is really popular. We will get inquiries from people who just move to town telling us they are excited it is in their new area, as they have been attending for years," she said. "(The festival) provides a variety of viewpoints and upholds a certain quality. They've done a great job of recruiting more diverse stories in recent years. For us, getting to see stories about female adventurers, or a lead character with a disability, like 'Feel of Vision,' a story about a kayaker with a vision impairment, it ties into AWL's mission to see diverse representation in the outdoors." After "Free Solo," a rock climber documentary, won an Oscar this year, Wilde said there is an unprecedented level of attention to outdoor films. And you don't have to be an outdoor enthusiast to appreciate the host of films playing at the festival either, she said. "There are films that relate to conservation, ecology, mountain culture, and human-interest stories that people can connect to on a personal level," Wilde said. "You can appreciate the visual aesthetic of the films shown and the storylines in between." Films include "Feel of Vision," which tells the story of a cheerful Midwesterner who shares his love of kayaking with others after losing his sight in an accident, and "Liv Along the Way," about French alpinist Liv Sansoz, who sets out to climb all of the European Alps' peaks in a single year. "I make it a point to not see the films until the festival. It is not the same as seeing it on the big screen with others," Wilde said. "There is a lot of energy in the room." Doors open at 6 p.m. at Forest Theater, located at 1911 Pacific Ave., Forest Grove, and the films begin at 7 p.m.
Tickets are $20 for all ages. Concessions are available for purchase. There will also be a raffle to win a paddleboard. For more information, visit awloutdoors.org/forestgrove.